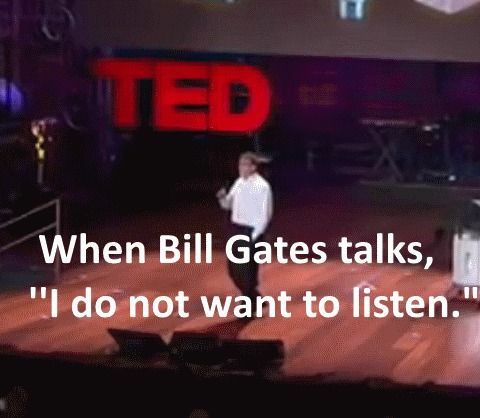 We do not like it when smart people prove we need to learn something from them, well today, I need to thank Bill Gate, and this was painful to admit. Who knows what that means, sounds good, but confusing, maybe we can figure it out together? Maybe it is because I am the same age as Bill Gates, whatever the case, my brain keeps wanting to shut him out, but this is not right, he is an obvious genius, nobody earns that many billions or becomes President of the USA by being stupid, these are not accidents. When genius talks, I listen, even when painful, and sometimes it takes weeks, months for one comment to enter the epiphany range of bandwidth in my brain. Well, I am not sure what Bill means, and maybe I do, maybe I do not, whatever the case I learned a lesson that applies to me, Andy Lee Graham. Damn him, he changed an organization system that I have been using for 30 years. Each day, I get up, write down three things on a piece of paper, one of them white index cards, and put it in my back pocket, when I get confused, I pull out the card, and do one the three things on the list, it is my focus session for me, stay the course Andy! No, it is not that dramatic, but it could be, I want to know, when I am prioritizing, which one of the decisions I make, will have the biggest impact. Before, I chose what would make the biggest impact today, maybe for the next week, or year. I did not really think, to prioritize in a way that would change as many lower decisions as possible. I was prioritizing what needs done, not what would make the BIG impact. What I learned from Bill, when writing down my three things to do on that little white index card was: Write down the three things to do today, that will create the greatest amount of ripples, a tidal wave of actions to happen down river. Do not just think about need to do, the screamers, the big baby to do‘s, think of the extremely proactive, change the world, change my world to-dos. In real life, today here in Lome, Togo West Africa, I am working on two inventions, one I call the “Babble Breaker,” a way to create mass public information for people who cannot read. The second is a way to melt plastic bags, junk, and compress, squeeze, and make into insulation for home, into bricks, insulating bricks. I want to stop the heat from entering homes, cheap as possible, and trash is cheap, so the locals are cool enough to close their windows, doors, and sleep under mosquito nets. Making money is usually on my To Do list, but when I add in the words, “What will change the world” Then everything gets reprioritized. What will change the world today for you? What decision can you make, what can you decide to do today, that will change the history of your life? Now, I am working more on my inventions, and less on making money, the world does change. Thanks Bill, maybe run for President, not the worst of ideas. Lome, Togo West Africa in a 33 dollar per month room, what a great decision. lI know that energetic lady she must be in heaven getting all that attention from CNN. This is the dream of Aid Orgs. Here in Togo, a bottle sells for about 50 CFA, or 10 cents USA, and would be more expensive to use than cement. They use them to buy cooking oil, there is a 20 gallon container of cooking oil, and they refill the liter bottles. Liter bottles are normally used by tourists, no tourists in Togo, so few bottles. Rich people, or fearful people use them, and the silly, who do not care about money. To drink from a liter bottle on Lake Atitlan is sort of silly they have refillable 5 gallon bottles everywhere on this lake. Presently, I am leaning towards making Togo a dirtier place and helping them trash it out. Why? Well, the good solution is for them to outlaw these light plastic bags the same as India or Rwanda. Therefore they need to become a huge problem, so the correct solution is used.